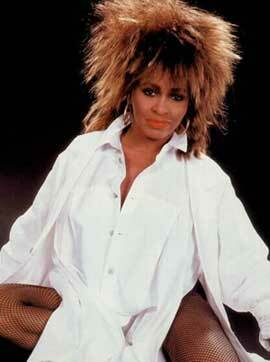 Private Dancer Tour is a 1985 concert tour by the American singer Tina Turner. In conjunction with her multi-platinum selling album Private Dancer, the tour helped to establish Turner as a major solo artist and live performer and is often considered one of the best comebacks in music history. The 179-date tour encompassed Europe, North America, Australia and Asia. Turner also played a show in Budapest, the only show of the tour behind the Iron Curtain. 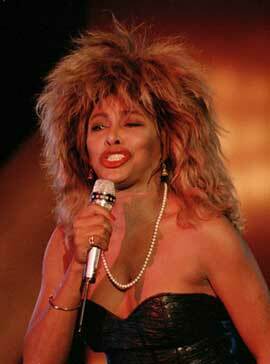 * For the final two performances in Japan, Tina Turner closed the show with a cover of Bruce Springsteen's "Dancing in the Dark". 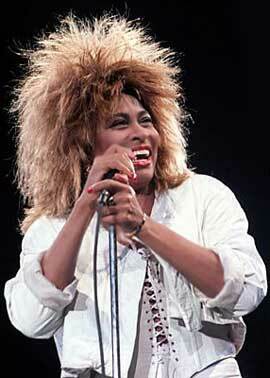 * During the performance at the NEC Arena in Birmingham, England (on 23 March 1985), Tina Turner was joined onstage by David Bowie to perform "Tonight" and "Let's Dance". 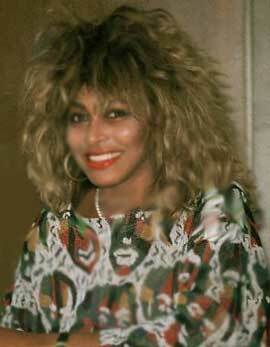 * During the performance at the NEC Arena in Birmingham, England (on 24 March 1985), Tina Turner was joined onstage by Bryan Adams to perform "It's Only Love". 21 Febr. 1985 - Drammenhallen - Oslo - Norway - 7800 - S.O. 23 Febr. 1985 - Isstadion - Stockholm - Sweden - 9900 - S.O. 8 March 1985 - Hallenstadion - Zürich - Switzerland - 12000 - S.O. 15 March 1985 - Wembley Arena - London - UK - 12000 - S.O. 16 March 1985 - Wembley Arena - London - UK - 12000 - S.O. 17 March 1985 - Wembley Arena - London - UK - 12000 - S.O. 21 March 1985 - The Apollo - Manchester UK - 3500 - S.O. 23 March 1985 - N.E.C. - Birmingham - UK - 12000 - S.O. 24 March 1985 - N.E.C. - Birmingham - UK - 12000 - S.O. 26 March 1985 - Zenith - Paris - France - 7000 - S.O. 31 March 1985 - Sportshalle - Klagenfurt - Germany - 5000 - S.O. 1 April 1985 - Sportshalle - Graz - Austria - 4500 - S.O. 4 April 1985 - Sportshalle- Linz - Austria - 6000 - S.O. 21 April 1985 - Hallenstadion - Zürich - Switzerland - 12000 - S.O. 22 April 1985 - Frankenhalle - Nürnberg - Germany - 8500 - S.O. 30 April 1985 - Ostseehalle - Kiel - Germany - 7100 - S.O. 13 July 1985 - Live Aid - Philadelphia - USA - 100000 - S.O. 15 July 1985 - Coliseum - Moncton - Canada - 8000 - S.O. 16 July 1985 - Metro Halifax - Canada - 10000 - S.O. 17 July 1985 - Metro - Halifax - Canada - 10000 - S.O. 1 Aug. 1985 - Madison Square Garden - NYC - USA - 17000 - S.O. 2 Aug. 1985 - Madison Square Garden - NYC- USA - 17000 - S.O. 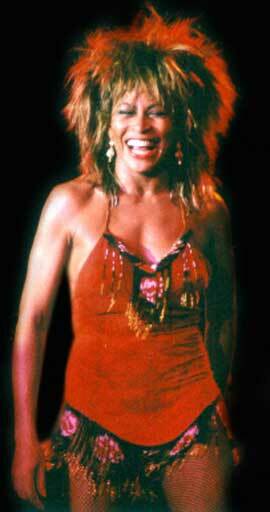 7 Aug. 1985 - Jones Beach - Long Island - USA - 14000 - S.O. 8 Aug. 1985 - Jones Beach - Long Island - USA - 14000 - S.O. 24 Sept. 1985 - Saddledome - Calgary - Canada - 20000 - S.O. 25 Sept. 1985 - Coliseum - Edmonton - Canada - 13000 - S.O. 12 Dec. 1985 - Entertainment Centre - Sydney- Australia - 11500 - S.O. 13 Dec. 1985 - Entertainment Centre - Sydney - Australia - 11500 - S.O. 15 Dec. 1985 - Entertainment Centre - Sydney - Australia - 11500 - S.O.